I'm doing a guest post today for the award winning author, Maria Dismondy, on her blog Be The Difference. Maria is doing a summer series about family traditions. I hope you'll stop by and read my post about one of our favorite family traditions. You can click on the image below to read it. 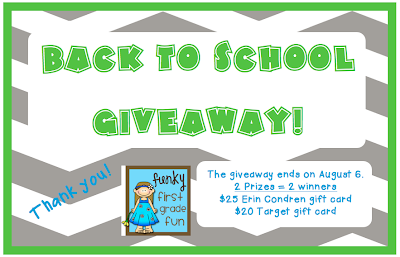 Don't forget to enter my Back to School Giveaway for a chance to win an Erin Condren gift card or a Target gift card! The giveaway ends on August 6!